ANNE: Oh, stop worrying about the floating table. Your father's been making working antigravity devices since grad school. It'll be fine! Kim: "Mom, you need to tell those tweebs gravity is not just a suggestion; it's a law!" :KP: It's MY copy of 'Twilight' and you're giving it back NOW! :shego: LIKE FUN I AM PRINCESS!! :KP: I TELL YOU IT'S MINE AND YOU'RE GIVING IT BACK NOW!!! :KP: Ha ha! Told you Shego. NOBODY gets between me and my sparkly vampire goodness. NOBODY! As Kim Possible's fame spread, photos like this would frequently pop up in the tabloids causing her no end of embarrassment. Not that anything but the topic and the topic: The Third Alliance Captioning Thread: 3D spectacular are not the same, but with different names? We lock threads when they reach 500 replies. Then we start over with a new thread. That's what happened to The Third...thread. 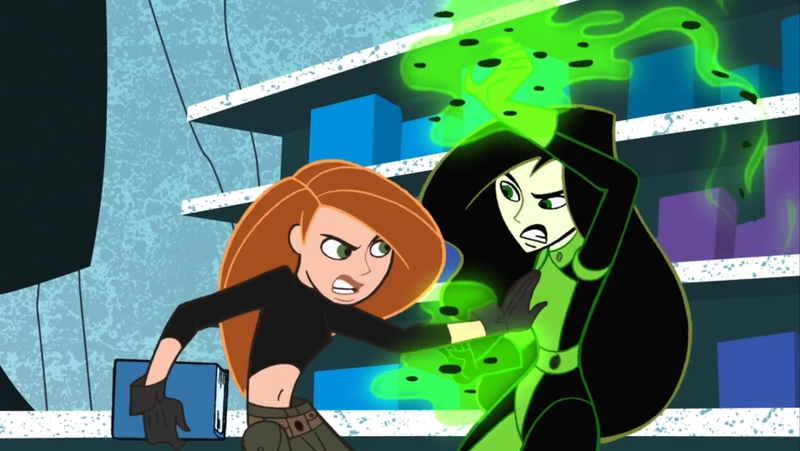 Shego: "What, do you have a shock gauntlet or..."
Kim: "I know, I know. Shocking." TIM: Hey, Kim. We were just talking with Zita's little brother. He'll be needing a babysitter this Thursday, and he'd really like it if you'd handle the job. In your cheerleader outfit. Kim: *thinking* Okay, okay. This is bad. 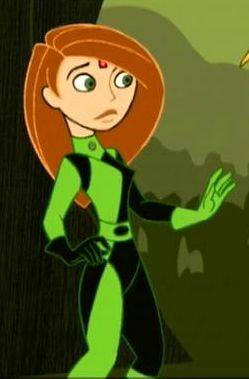 I'm mind controlled, I have a neural compliance chip on my head that's overwriting my mind, and Drakken's got me dressed up in Shego's outfit for who knows what reason. The caps are still there, but I have to get them back up and running.